The Universe is sending me a message! This quote is very similar in form to verses like “Patience is the highest ascetic practice,” which is from the Dhammapada (verse 184), or “Health is the most precious gain and contentment the greatest wealth. 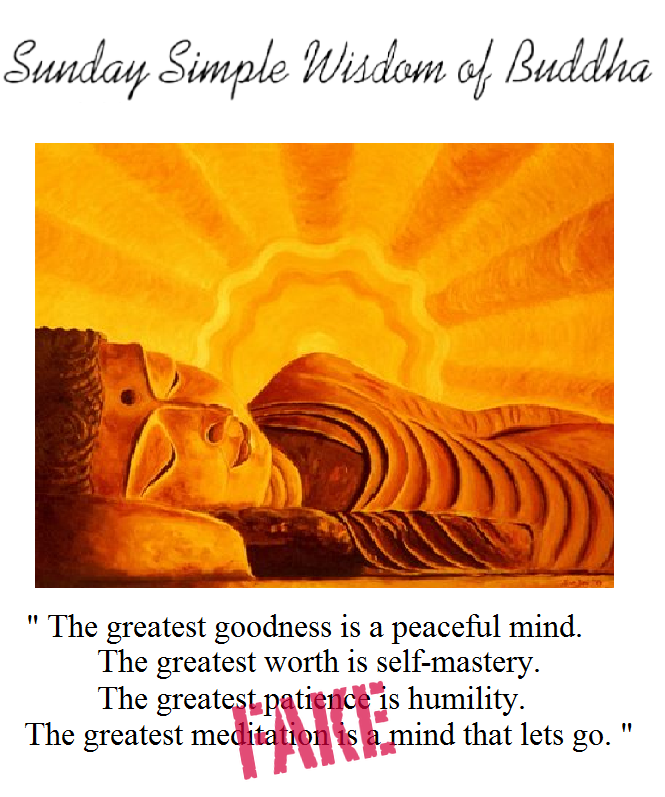 A trustworthy person is the best kinsman, Nibbana the highest bliss,” which is also from the Dhammapada (verse 204). But I was doubtful that our suspect quote was actually from the Buddha. And indeed, they seem to come from Atiśa, an Indian teacher who lived from 980–1054 CE (a long time after the Buddha) and who taught in Sumatra and Tibet. The highest nobility is in subduing your own mind. The highest moral practice is a peaceful mind. The highest patience is humility. The highest effort is to abandon attachment to activities. The highest meditation is the mind without pretension. The highest wisdom is not to grasp anything as it appears. These are from Collected Bodhi Leaves Volume IV: Numbers 91 to 121, but unfortunately Batchelor doesn’t say what the name of the original work is. Geshe Wangyal has a translation of these verses as well, in a book called The Door of Liberation: Essential Teachings of the Tibetan Buddhist Tradition but that version is not available on Google Books, and the Amazon “look inside the book” feature doesn’t include the relevant passage for comparison. Since our suspect quote is not identical to Batchelor’s verses, it may be that it’s from Wangyal’s translation. But perhaps it’s from another translation altogether.